Now that the December gallery has been posted in all its beauty, I thought I would do a little review of my favorites this month. First up, Alexis's "Well Documented." I love how she used papers that weren't necessarily intended for the holidays to complete this gorgeous Santa layout. 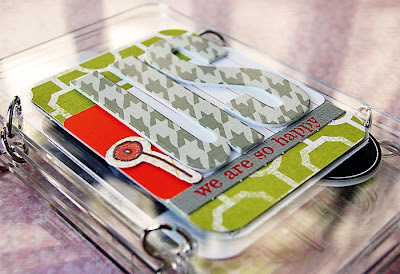 The big circle, all of the layering, and the way she used the little wooden tag... GORGEOUS! Amanda blew me away with the tone-on-tone use of her rub-ons against the neutral paper. I never would have thought to do that, but it totally works! 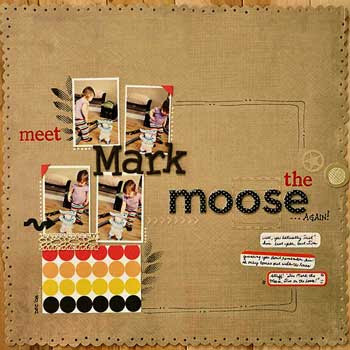 What's not to love about her "Mark the Moose" page?!? It's so cute, and I love how all of her elements came together. I absolutely adore Charity's mini-book. Simple, yet so very pretty! 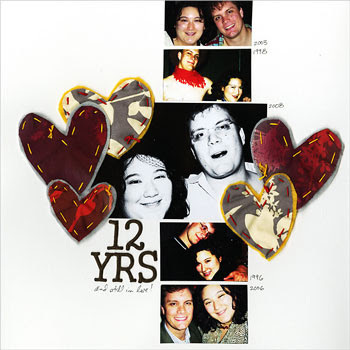 ANd, I love how she used the American Crafts transparent accent stickers... brilliant! I'm so thrilled that we had Gigi Kennedy as our guest designer this month! I've always been a huge fan of her work, and she certainly did not disappoint! Her "Seriously Adorable" page is, well, seriously adorable! Her lollipop flowers are to die for, and I love how the colors played off the other elements so well. Our resident technique girl, Julie, always amazes me with her out-of-the ordinary uses for products every month, and December was no exception. I think the way she made the hearts from the Amy Butler fabric is fantastic! Such a clever idea. 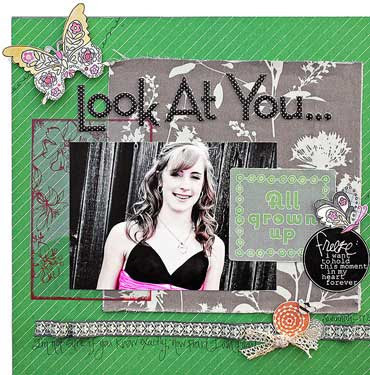 "Look at You" is my favorite layout from Leslie this month. I love the grey and green together, and the picture of her daughter is gorgeous! Last, but certainly not least, Sasha's "The Part I Missed." I always have a hard time picking my favorites from Sasha because everything she does is so amazing! She always has such great combinations of bright colors on her pages. 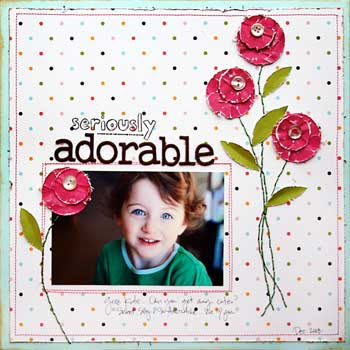 I love all of the different circular elements on this page... the buttons, patterned paper, flowers. What a gorgeous page!!! The Tulip Girls all did such a fabulous job this month, especially considering how busy we all are with the holidays! I hope that you have enjoyed this month's gallery as much as I have. And, let me be the first to wish you Happy Holidays from everyone at Label Tulip! 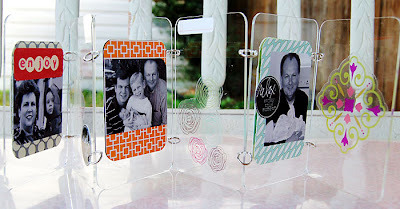 I loved the gallery from this month's kit!! So impressed you girls found time to create during the busy holiday season! Thanks for being such inspirations!